Soon, a ZGBlog will address the subject of Piracy on the Ocean, to explore the important question of how in the coming zero government society travelers will be protected on the high seas from the literal kind of piracy that prevailed two centuries ago off the Barbary Coast, and which triggered the creation of the US Navy. 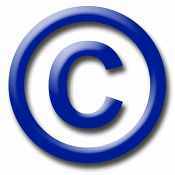 Today's Blog, however, is about the current use of the same word to mean something different: the "piracy" of "copyrighted" material on the Internet, which the outrage of January 18th made clear Netizens want to be free to continue to do. An excellent article about that highly effective protest is well worth reading, by Gary North, here. The three books I have written contain words like: "the author disdains statutory copyright but asks that you obtain his permission as a matter of courtesy, before reproducing this work in any format." The problem for the artist or moviemaker or author is that after all the labor of producing his opus, he hopes for the reward of high volumes of sales, and so wishes for protection from any who would rip him off by copying it and distributing it for sale - stealing his market, as it were. A copyright notice informs the purchaser that he will call for the ("statutory") force of government to be brought down on any who do so. I will not. I do not trust government for anything; I must endure it while it lasts and even accept what it hands out (to hasten the day of its insolvency) but will not demand its services or advocate their continuance. Even so, that hope and wish seems reasonable. To prepare a major novel like, say, James Mitchener's Centennial, requires months or years of meticulous research and if the reading public likes the result the author "ought" to receive a reward in 6 or 7 figures; but if a single copy is sold which is then taken by the buyer, reproduced and sold for half the price of the author's publisher, is not that an act of theft? The same is true of a masterpiece of music or painting; there is something intuitively wrong about a composer dying in poverty when his work delights the public of his own time and for centuries to come. Surely, some protection is needed? The argument used to have some merit. When Gilbert and Sullivan wrote their delightful comic operas in the late 19th Century, they wrapped them around with copyrights and contracts to ensure that they could be performed in England only by their own company, the D'Oyly Carte Opera Co. - a protection that lasted until 1961. It did not operate in America, however, so Carte had to bring his troupe to perform here as the "authentic" artists, and had success as such, even though domestic performers were competing with a "buy American" advantage. So copyright isn't indispensable. Government was never needed for such protection. If some printer had copied and distributed Mozart's music without his leave he could have filed suit for damages (to his reasonably expected sales) and might well have won. A future composer could do the same, in the coming free society; but I'm not at all sure he'd win. That's because the world has changed a lot; it would be tough to prove the case that profits had been necessarily lost. A movie is made, in the hope of large gain; it's released on DvD and some buyer hacks around the copy protection software and uploads it to the Web, whence others download it free or for a small fee. The studio is peeved, and (as North's article showed) bribes lawmakers to make laws to stop all that. Should they be peeved? In the new world of the Internet, I don't think so. Two reasons: since distribution is so easy and cheap, the studio can do it too. So can the author of a book; and if there are two sites from which one can download a masterpiece, one run by BigTimeRippers for $1 and one by Jim Davies in person for $1.25, the author is going to keep a respectable slice of the market. The buyer would have the satisfaction of having bought from the author directly, and that's worth a few extra cents. On the wall beside me is a painting, by Thomas Hoyne III, called On the Way to Glory; it is signed and numbered, as one of only 550 copies he made. I'm sure I could have bought a cheaper copy of the same work, but this one's authentic and so brings me more pleasure and commands a better resale price. Collectors regularly pay millions for original paintings by the masters, even though copies can be found for just a few dollars or dowloaded free from the Net and printed on one's desktop. The second reason is that the Net vastly increases the market demand for any product of this class. At a button's touch hundreds of millions of potential buyers can acquire the author's product, and this is wholly new. That $1.25 per e-book might well bring the author a far bigger fortune than he could possibly have made by the old process of having a publisher make hard printed copies, promote it to Barnes & Noble, and spare him a royalty. The same holds for music, and movies. So yes, in the coming zero government society an artist whose work is copied and sold by someone else may complain of "piracy," but I doubt he will prevail - for he has the ability to repair the damage perfectly well by his own business skills. In the old world he hired a publisher to bring his masterpiece to market; in the new one, he must accept responsibility to hire someone who knows how to do the job in the ever changing marketplace conditions. It's just that the studios haven't yet woken up to the new world; they still want to use the old one based on government force.